Duckweed (Lemnoideae) is the most commonly chosen floating plant within goldfish tanks, and one that provides plenty of foliage for your fish to snack on! Duckweed can be found growing wild in many parts of the world, from America and the Far East to Europe and the UK. In its natural environment, it thrives in locations as diverse as marshes and wetlands, rivers, streams, ponds and lakes. Duckweed floats on the surface of the goldfish tank, and is available in a variety of different sizes from under a millimetre long, up to the size of lily pads. 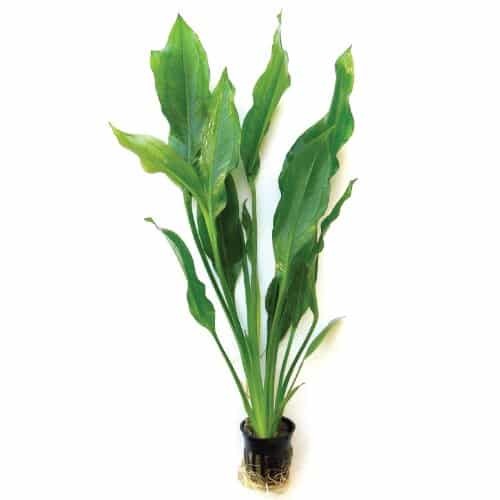 It is bright green in coloration, and consists of small individual leaves that lie in groups. Duckweed is a fast growing plant that can become prolific in bright light. 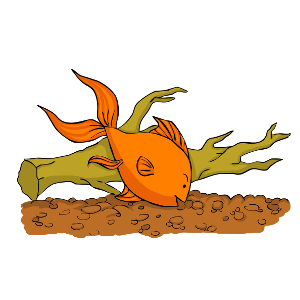 You may need to prune it now and again to keep it from taking over the tank and blocking the light from reaching other plants and the fish themselves. Make sure that the tank containing duckweed does not receive more than 12 hours of lighting per day, as this can lead to prolific growth and also encourage algae. No supplementary fertilization is required in order for duckweed to thrive. These plants will gain the nutrition they need from the tank water. Individual specimens of duckweed will generally live for less than a year, but as the plant reproduces prolifically, duckweed introduced to the goldfish tank will tend to be self-perpetuating for the life of the tank. Duckweed is fairly delicate, and does not stand up well to being handled manually. Using a net to move and extract duckweed from your tank is the best way to handle it when necessary. Duckweed can be viewed almost like the “grass” of the tank, and as goldfish are keen grazing fish, they will usually eat their fair share of the plant. This helps to provide essential nutrients and keep the duckweed growth under control. Duckweed is a good pick for the goldfish tank as long as it is not allowed to proliferate to cover the entire surface of the tank. 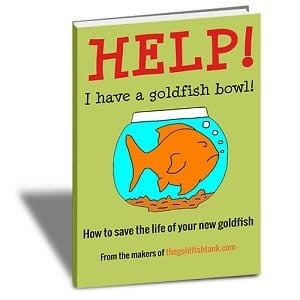 Usually, your hungry goldfish will make sure that this doesn’t happen! Duckweed can be bought in specialist aquarium retailers, pet shops that sell water plants and even in some garden centers. You can also order it online for delivery through the mail. Duckweed is one of the most inexpensive goldfish tank plants available, usually costing less than $3 per “cup” (small beginner culture). 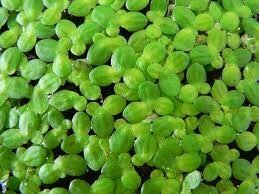 Duckweed is usually sold in small quantities, as it will quickly grow to a respectable size on its own. As duckweed comes in many different guises and can be found all over the world, the best way to select the strain that will suit your tank is to choose one that is native to your home country, fairly small leaved, and readily available for sale. You should never take duckweed from wild ponds of streams to add to your tank, as you cannot be sure of the water quality or if the plant is carrying any parasitic nasties!